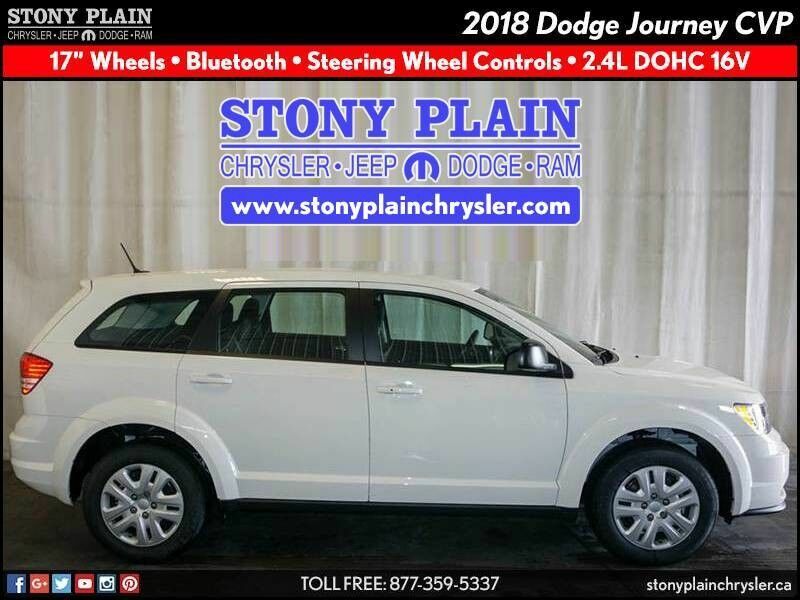 This 2018 Dodge Journey Canada Value Pkg SUV is proudly offered by Stony Plain Chrysler. Want more room? Want more style? This Dodge Journey is the vehicle for you. This is about the time when you're saying it is too good to be true, and let us be the one's to tell you, it is absolutely true. Beautiful color combination with White exterior over Black/Black interior making this the one to own!